The other day I had a late night chat with Attila. General stuff, Unity and C# and girls. Then out of a sudden he asked if I still like Drupal and the community. I guess the fact itself that he asked is partially answering the question. 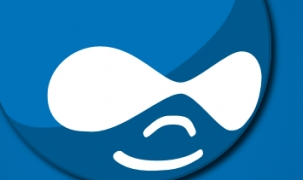 Yes, I do like Drupal and the community. It's a strange relationship. I'm not walking on the street and think about Drupal - well, not all the time. And it's not like a lover that makes goose bumps on my arm. It's something deep. A relationship. Except one the thing that I can do anytime a git checkout --branch #.x if I feel nostalgic with Drupal. I like Drupal because I have great memories. I met Drupal 4 years ago and was working in an awesome team who wasn't only using Drupal but contributed back, thought though the simple problems and mastered them, evolved though time. A Drupal team without this naughty sexual desire towards core and code is like any other dev team. I worked together with around 20 different teams in my time. They all had this fever. For some reason Drupal demands this respect. Maybe it's a self-generated energy, where just the fact that it's so empowering and everybody is so enthusiastic makes the illusion that you also have to be one of them. I like Drupal because it brings people together. Like a mothership carries developers and entrepreneurs and managers and it makes the world so blue. I guess it was also important that we gave credit to contributors who made something great. We know their names, modules, contributions, twitter account and what shirt s/he was wearing on the last Drupalcon. There is always somebody on iRC listening. Or on the issue queue answering. I can tell Drupal to basically anyone - and happily explain that it's an open source c... and be proud of being part of it. I like Drupal because I'm a lvl 3 rockstar - that means there are 8 next level ups still. Finally we all have less array definitions and - khm - more mysterious DI definitions and inheritance jobs. Also these days I don't even have to add Drupal as a search term, yeah, Google knows it already.